England’s FA Cup is the oldest football competition in the world and this season it returns for the 138th time. The tournament involves teams from the 10th level of the English football pyramid to the top and will see a total of 736 teams take part. With a rich history stretching back to the 19th century, there have been plenty of moments to savour through the years and clubs will be eager to dabble in the ‘Magic of the Cup’. Chelsea are the reigning champions, while Arsenal are the most successul club in the history of the competition and both will no doubt be vying for glory. However, with one-off knockout games there is always a chance of a ‘Giant Killing’. With the 2018-19 edition under way, Goal brings you everything you need to know about this season’s FA Cup. When did the FA Cup start & when is the final? The first round proper of this season’s FA Cup is scheduled to begin on Saturday November 10, with 48 clubs from League One and League Two entering at that stage. Premier League and Championship clubs do not enter the competition until the third round proper, which is scheduled to begin on the weekend of Saturday January 5. Before the first round proper, there were a number of qualifying rounds involving teams from the lower rungs of English football, beginning with the extra preliminary qualifying round, which was played on August 10. Including the extra preliminary round, there were a total of six qualifying rounds before teams from the Football League enter. The 2019 FA Cup final is scheduled to take place on Saturday, May 18 and it will be held at Wembley. 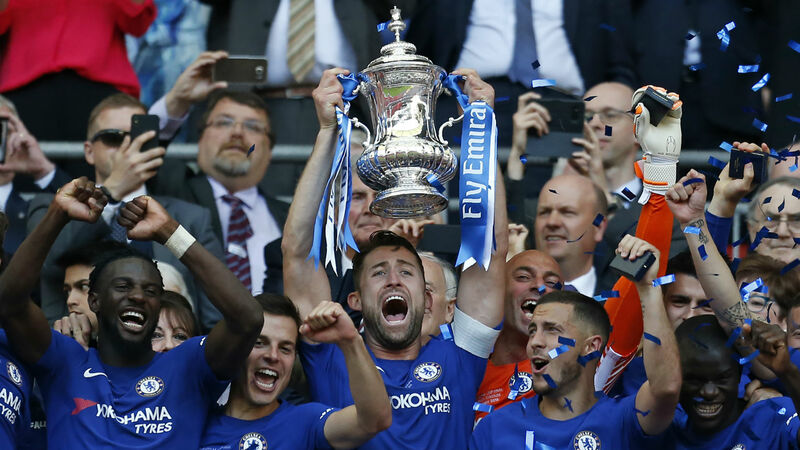 The first-round draw of the FA Cup took place on Monday following the conclusion of the fourth qualifying round, which wrapped up on the weekend of October 20. Forty-eight teams from League One and League Two enter the competition at this stage, where they will join the 32 winners from the previous round. Among those in the pot are two teams from the seventh tier of English football, Southern League Premier Division side Metropolitan Police and Isthmian Premier’s Haringey Borough, and Weston Super-Mare of the sixth-tier National League South. First round games themselves are scheduled to be played on the weekend of Saturday, November 10. In the United States, the rights to the FA Cup are owned by ESPN, but the games will exclusively be streamed online via ESPN+. That means the games will not be shown live on television in the US.